I’m used to seeing Welsh signs here there and everywhere. Even before I started working in Welsh football I used to visit the country several times a year so I was already familiar with words like araf, heddlu, ysgol and allan. Then when I started to learn the language, these and others were more than just isolated words but part of a growing vocabulary and understanding. 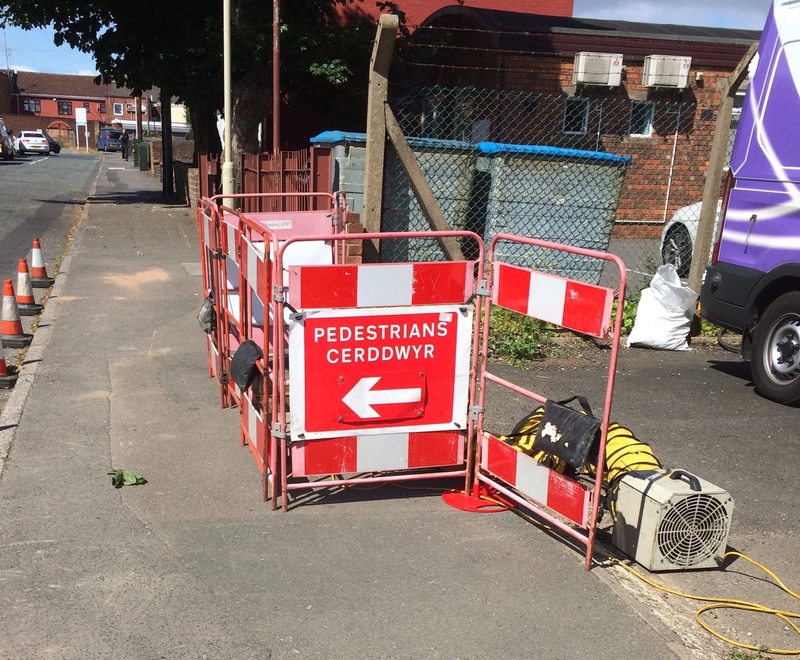 With road works companies working cross border I see plenty of signs in Shropshire saying trafig gwyriad or diwedd. However, I was very pleasantly surprised this week when my wife sent me a photograph from Sedgley in the Black Country, where we live, that you can see in the lead image.